When visiting Las Vegas, it’s easy for punters to get overwhelmed with potential keno options. This bustling city attracts over 40 million tourists a year, and most of these visitors get funneled through their casinos. Boasting an impressive concentration of 169 casinos, Las Vegas is easily equipped to entertain the multitudes. Their state of the art game floors offer a grand total of 95,461 pokies machines and 4,348 table games. While these options steal the show, their keno options are too numerous for any respectable punter to ignore. Thanks to the steady influx of international tourists, keno is widespread in Sin City. Intent on catering to everyone, almost every casino offers at least one keno variation. While this massive selection of keno games is welcome, it creates a unique issue. Now that the keno options are endless, finding the best keno games in Las Vegas is a surprisingly difficult task. Not all keno lounges are created equally, since each casino offers different prizes. To access the most advantageous options in Las Vegas, punters have to be strategic when choosing where they play keno. The payout rates vary wildly, which makes doing a little research essential. By diving into the statistics, we were able to compile this list of the best places to play keno in Las Vegas. Simply choosing these venues increases your chances of winning, so take the guesswork out of keno by playing at these casinos! This casino’s charm is on its game floor. Casino #3: El Cortez Hotel & Casino – Even though it’s located in downtown Las Vegas, this casino is nothing like its neighbors. 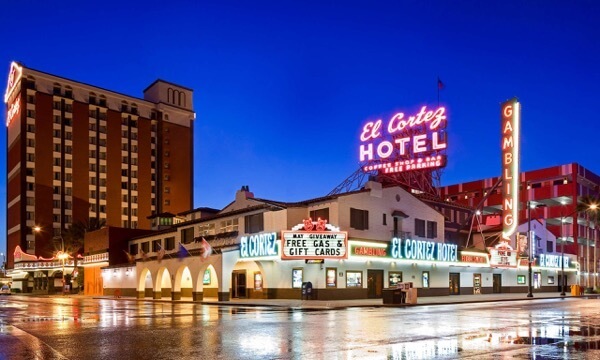 While the other notable casinos boast glamorous décor and epic shows, El Cortez sticks to the basics. Their architecture is noticeably outdated, and non-smokers will have a hard time navigating their game floor. Despite these pitfalls, this casino has plenty of features going for it. They offer cheap rooms that are within walking distance of the strip. The attitude is noticeably more laid back than its classier counterparts, which allows punters to feel at home. While these options are appealing, the real attraction is their keno options. Boasting 40 cent Keno 24 hours a day, El Cortez is one of the best places to play keno in Las Vegas. Their keno lounge is complimented by generous bonus comps and excellent odds. Visitors can win up to $14,000 just by placing an 80 cent bet. These odds are too enticing to ignore, so escape the tourist trap and come to El Cortez! This iconic casino offers an unbeatable selection of games. 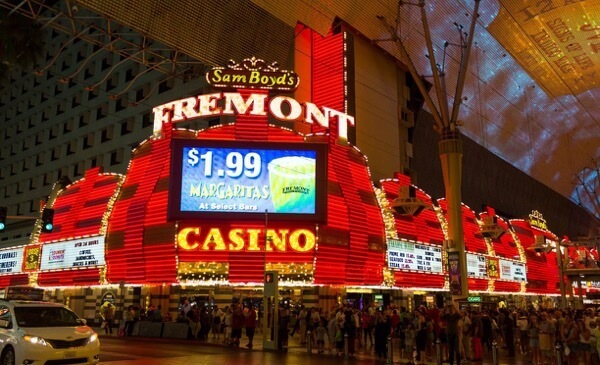 Casino #2: Fremont Hotel & Casino – For over six decades, this casino has set the standard in Las Vegas. Its marquee has been featured in numerous films, which makes it one of the city’s most iconic landmarks. While the main focus isn’t on entertainment, their gaming options are robust enough to seduce even the most skeptical punter. Visitors can choose between three enticing keno options. While the Pop 80 rate pays $14,000 and the $1.25 Special Rate pays $15,000, the dollar rate pays up to $16,000. These rates are exceptional, so don’t miss out on the action! This modern casino provides plenty of keno options. 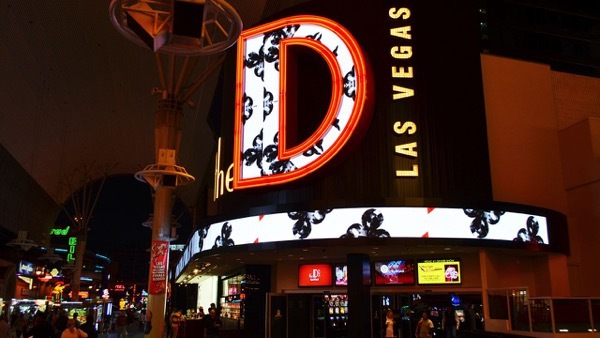 Casino #1: The D – Brothers Derek “D” and Greg Stevens managed to reinvent the Fitzgeralds casino through a daring makeover. Today this 638 room hotel and 42,000 square foot casino is one of the main attractions of downtown Las Vegas. Boasting a vibrant party scene and retro second floor, this stunning casino provides the best of both worlds. Visitors can indulge in a myriad of quick dining options that are complimented by a street bar. While the first floor provides dancing dealers, the second has a more retro-Vegas feel. Their dollar Candyman rate pays $17,500, which makes it the best spot for keno in Sin City!